And We'll Gift You for Signing Up! You'll get loads of free healthcare careers advice, career coaching, resume, interview and cover letter tips and more... all geared towards getting you the health care job of your dreams! ave you ever wondered why you just can't seem to get job offers for the jobs you're most interested in? It's that simple. OK, I hear you saying, "But it's not that simple! That's hard." You're right. None of us are born knowing how to write a powerful resume, a killer cover letter, and certainly not how to answer tough questions under incredible pressure. But the good news is, there's hope... and it's FREE for the taking! 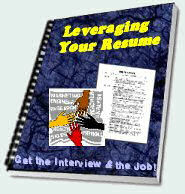 All you have to do is fill in the short form at the bottom of the page and the next page you see (after the confirmation) will be the special report: "3 Easy Steps to Landing the Job Offer of Your Dreams"
FREE E-Course: "Leveraging Your Resume to Get the Interview AND the Job!" FREE Report #2: "Top 10 Secrets of the World's Greatest Cover Letter!" Get the world's greatest cover letter tips from Jimmy Sweeney, one of the Web's foremost authorities on crafting killer cover letters that WILL get you the job interviews you're seeking. So, can you think of any good reasons not to fill out the short form below and start getting this wonderful career newsletter —completely FREE—before another minute goes by? There's a whole world of knowledge out there, and it's yours for the taking! Sign Up NOW... It's All Free! NOTE! To protect your security, my email course is what is called "double opt in". That means you not only have to fill out the form below... you must ALSO click the confirmation link in an email that should arrive in your email box shortly thereafter. If you don't click the link, you won't ever get the course! So, please... click the confirmation link, OK? I really want you to get these tips. There! Is that enough to get you to sign up right now? I hope so, because I have tons of information to share in the coming months. So, if you're ready to join NOW, just scroll up and fill in that form, OK? Thanks for visiting and signing up for our exclusive members-only club! I'm really looking forward to staying in touch and providing you with great information and ideas about health care career resumes, cover letters, interviews, jobs and more. I would be glad to help you; simply contact me here. Be sure to visit this site often to see what's new. Oh, and check out our Healthcare Blog too, won't you?